NO ACCIDENTS! BC VEHICLE! FULLY LOADED! 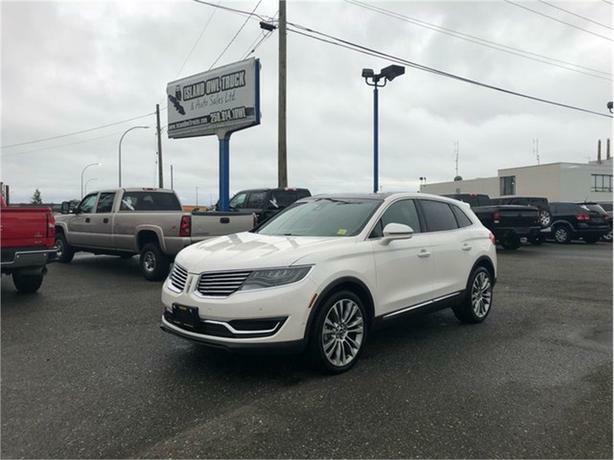 This 2016 Lincoln MKX is the ultimate luxury family vehicle with lots of capability. It has all black leather seats, back up and surrounding cameras! With it's powerful EcoBoost 2.7 Turbocharged V6 engine it is sure to be your next family vehicle! Come down to Island Owl today before it's gone!